Here is a list of some of the most breath-takingly beautiful butterfly species, as well as the butterflies that are the most well known for their bizarre characteristics or odd markings. Although these butterflies are extremely common in some areas, they are very easy to overlook! The Western Pygmy blue butterfly is one of the smallest butterflies in the world and the smallest known native butterfly in North America. They have an average wingspan of only 12-19 milimeters. Although they are referred to as blues, their upper wings are mostly a coppery brown color. This is also one of the butterfly species whose populations have increased over the past few years. 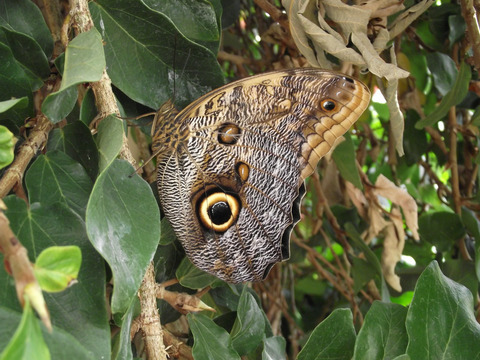 This is one of the largest butterflies in the world, with a wingspan of up to 20cm -- or almost 8 inches across. The vivid, iridescent blue coloring is a result the microscopic scales on the back of their wings, which reflect light. 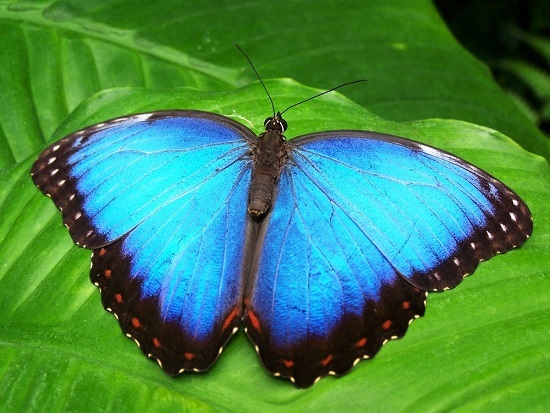 There are numerous other morpho butterfly species. The name “morpho” is thought to originate from the fact that these butterflies appear to change shape as they’re flying. It's alsoconsidered one of the most beautiful butterflies in the world. Also known as "Cramer's eighty-eight" is a species of butterfly that is well known because of it's unique markings on its wings. The underside of the hindwings is white, with lines that approximate a black-outlined "88", giving the species its common name, "The 88 Butterfly". The 89 or 88 numerals which appear on the underside hindwings of clymena are present in all 12 of the Diaethria species but vary in colour, thickness and shape. The butterflies often frequent human dwellings, and are considered a sign of good luck by some communities. 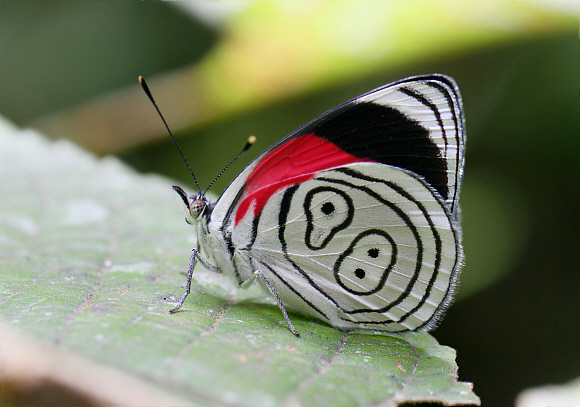 The most distinguised characteristic of this butterfly its unique markings which give it its name. When its wings are closed, the markings resemble the huge eyes of an owl, which is meant to intimidate predators. It's also one of the larger sized butterflies and is similar to the Giant Own Butterfly. Its also referred to as the Tawny Owl butterfly and Memnon's Owl. This is an energetic and swift flying butterfly that has a very unique flying pattern. It can be seen gliding in between spirts of fluttering. 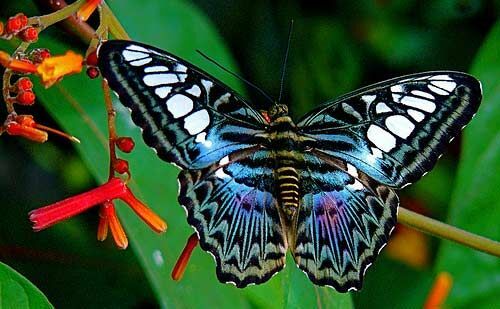 The Clipper Butterfly are largely found in the southern parts and the southeastern parts of Asia, generally in forested regions. They come in both blue and brown colors. This butterfly is a species of the brush-footed butterfly. Known for its oddly fascinating appearance. 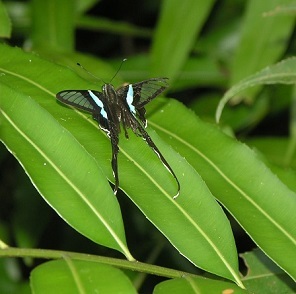 The Glasswinged butterfly has transparent, see-through wings, giving the butterfly unique appearance and name. While its wings appear delicate, this butterfly can carry up to 40 times its own weight. 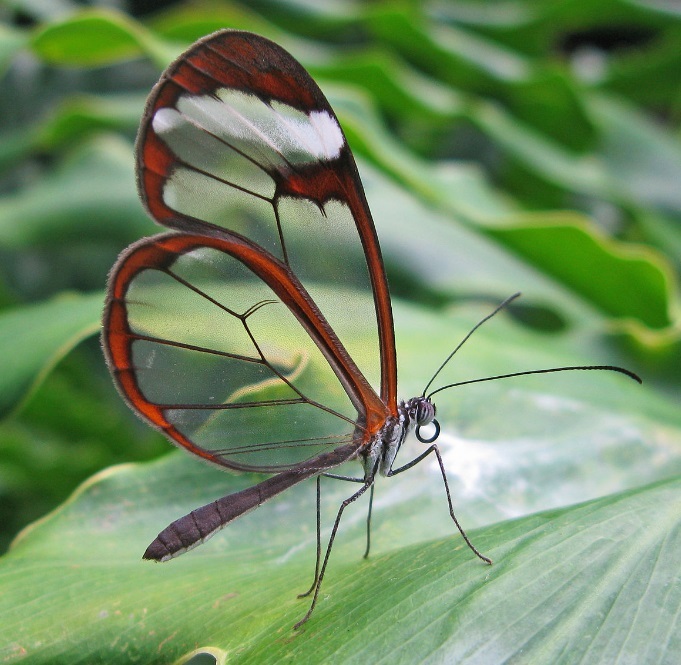 The Glasswinged butterfly is also referred to as 'espejitos', which means 'little mirrors'. It can be found mainly in Central and Northern regions of South America. 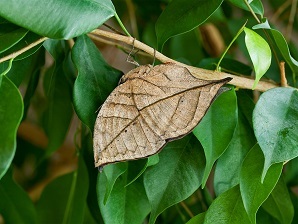 This butterfly is also known as the orange oakleaf and the Indian oakleaf butterfly.The underside of this amazing butterfly's wings are faded brown, with jagged edges and blemish spots, so that it appears to resemble a dead leaf, thus giving this butterfly a very unique but effective camoflauge. The upperside of its wings have brighter colors which they tend to flash when mating, but when they want to hide from predators, they simply close their wings. This butterfly is well recognized due to its unique patterning. It's disctinctly recgonized for its odd but stunning apperance. It has long narrow wings, andbold black and white striped wing colors, which give it the appearance of a zebra. Just like other butterflies with camoflauge that resembles another species, its appearance is meant to warn off predators.In 1966, the Zebra Longwing was designated as the official butterfly of the state of Florida. 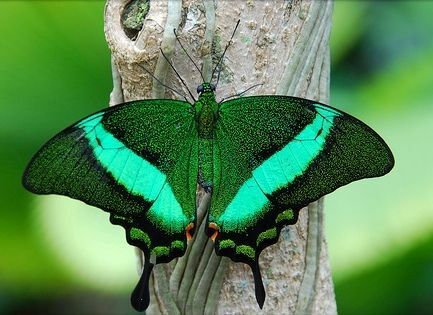 The Emerald Swallowtail is one of the few rare green colored butterflies. It's also referred to the Emerald Peacock or Green-Banded Peacock Swallowtail. This butterfly has a beautiful pattern of shining green bands and flecks that look like glitter. The species ranges flow within India, southern China, Burma, Cambodia, Thailand, Singapore, Indochina, Sumatra, Borneo, Java and other islands of Indonesia and the Philippines. This butterfly is a swallowtail species and has a curious appearance! Its name is derived from its resemblance to a dragon when in flight. Unlike other butterflies, it vibrates, and its long tail gives this butterfly a unique shape. The White Dragontail can be found in India, Thailand, Laos, Vietnam, southern China, Kampuchea, Malaysia, Indonesia, Brunei, and the Philippines. 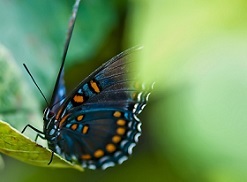 An Image Gallery of Butterflies.